Having addressed you at the opening ceremony, through Pa Momodu Faal, outgoing treasurer, let me express my delight at being able to join you by skype link this morning to account for activities/resources that this Union executive led by me since March 22, 2008, embarked on, implemented and spent in your name and on your behalf. Three days of talks and discussions on the way forward is no easy feat, as I do have a lot to say, I’ll go directly into my report. under the microscopic view of State and other interested parties and as such had us on our toes, at all times. This, tiring as it may be, must be a good thing as we always felt pushed to deliver and to be upfront in our dealings with our membership, partners and the State. Media Standards, safety and security of journalists and advocacy. Standards training, the safety & security training and the advocacy training. Trainees (the best of the team) will also get other incentives such as work placements in the Article 19 Dakar Office, some Senegalese media and advocacy institutions to enable them better understand and appreciate the role of the journalist, strengthened and capacitated press union, members. It is anticipated that the future GPU and media leaders will emerge from such types of targeted interventions and will help improve free expression situation in the Gambia. As part of this project, GPU has been able to chip a lawyer on retainer basis. following timeline: (a) 40% (8,244 Euros) two weeks upon signing of the contract and receipt of the initial project funds from the European Commission (b) 50% (10, 305 Euros) two weeks upon submission of first progress report (c) 10% upon receipt and approval of all outputs, final narrative and financial report from the European Commission. The project started in April 2011 and first course announcement for the Freedom of Expression training with the deadline for applications Friday, June 24, 2011. Gambia, the Union in its application of this project felt it was high time we took a decisive step to ameliorate the poor situation of the media in The Gambia. Only a few of the working journalists have an educational background in the profession. Those few have been educated abroad. 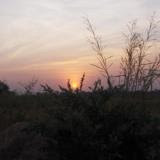 Besides, there is no capacity and set up for mid-career and further training of working journalists in The Gambia. This means that most of the working journalists are without formal education in journalism and without professional training as well. Newcomers to the media have no possibilities of acquiring basic skills in journalism as well as being updated on international developments in professional methods, technology, the role of the media etc. candidates made the grade and were enrolled for the course that started in December 2009. The entire course (Professional Reporter) is divided into four semesters of 4-6 months each. trainees’ understanding of the issues that shape and influence the practice of journalism. During the first semester, participants took cross-cutting courses in public administration and good governance as well as public sanitation – waste management in The Gambia. In this area, there was excellent collaboration between the GPU, the National Environment Agency, the Banjul City Council and the Kanifing Municipal Council. In the second semester, the GPU worked with CIAM – Centre for Innovation against Malaria – to provide lectures on the malaria epidemic in The Gambia. The trainees researched and wrote articles on various aspects of the disease. Like the first and second semesters, the GPU collaborated with ActionAid International The Gambia to provide lectures on agriculture and poverty in The Gambia. The trainees are still doing their esearch on the link between agriculture and poverty in The Gambia. performance or indiscipline or both. Each trainee is expected to, at the at the end of the two years be able to teach as well as practise journalism. So that when the GPU School of Journalism is up and running, the bests of the trainees can serve as assistant tutors under the guidance of seasoned trainers. The first TOT session ended on 16th June 2011. During this session, a total of 24 journalists in the provinces were trained in basic journalism skills by the trainees of the Professional Reporter course guided by a course consultant Mr George Christensen who was recruited by the International Centre for Journalists (ICFJ). The TOT course was divided into two batches of 12 participants each. Each batch underwent the training for four days. The next session of the TOT course is December 2011. But in between, there will be one or two on-site visits to assess the performance of the beneficiaries. The rationale is to have a pool of well-trained reporters across the country who can work as stringers for the media houses based in the Kombos. formulated. A local consultant is hired for this component of the project. 4. Networking for media development with national and international partners. management and project development, and we jointly worked on the first ever GPU Stratic Plan 2009-2011. The Secretary General of including consultants from the neighbouring Senegalese SYMPICS (Syndicats des Médias et des Professionnels de l’Information et de la Communication du Sénégal) also came on board as a consultant to train the new executive on Collective Bargaining Techniques. allocated funds and to enable the trainers plan their sessions, the GRTS was required to, through its director general or an appointee, responsible for training, fundamentally approve of the project and its time frame (November 2nd to 12th 2008) by signing the attached contract with his/her signature by September 15th 2008. Unfortunately despite meetings between the Department of State for Information, Communication and Technology, GAMES and GPU, the required approval was not received and the project did not materialize. The Union and the Gambian media lost out on much needed funds and inputs to strengthen the capacity of our public media. The International Center for Journalists (ICFJ) in partnership with the GPU and the Foundation for Legal Aid, Research and Empowerment (FLARE) launched, in November 2010 a 20-month programme to equip media workers in The Gambia with human and material resources to enable the Union in particular and Gambian journalists generally respond with greater effectiveness to repressive and punitive media laws. The main objectives are to enhance the skills of journalists and editors, increase communication among all Gambian media professionals, strengthen the GPU and sub associations that represent journalists and work to protect their rights; advance the cause of good governance and basic freedoms, build skills among journalists and to support the organizations in their efforts to build a stronger media community. It involves four components – 1) management assistance to organizations that work to support journalists; 2) legal assistance to the associations to refine their strategies to respond to punitive laws; 3) training for young journalists and bloggers, and skills-building for mid-career professionals; and 4) improved communication among journalists to strengthen professional networks. The program seeks to meld training in journalistic skills, ethics and management with the array of possibilities offered to media through the use of digital tools. Provision for legal support, protection for journalists is also earmarked under the project. The singular goal of these combined efforts is to bolster media reform in The Gambia through capacity-building support for media associations and outreach and training on media skills and freedoms. The project, funded by the U.S. Department of State’s Bureau of Democracy, Human Rights and Labor was partly negotiated by Mr Alagi Yerro Jallow, of the now shut down Independent newspaper, based in the United States. providers. Under this project, the GPU receives a sub grant of 10,800 US Dollars. This amount is payable in quarterly installments is paid to assist with office operating costs such as rent, utilities and GPU staff support to the project. Out of the 5400 US Dollars received so far, 3895 US Dollars has been spent on rent, extending the tenancy of the GPU Secretariat until September 2012. Mr. Amadou Taal, consultant for the project has recently completed a survey on media houses, preparatory to the management workshop that will be conducted for media chiefs by an ICFJ consultant. operational/ organizational capacity, adaptive capacity, advocacy capacity as well as (financial) reporting capacity was undertaken. Specific training programmes, manuals and procedures were drawn out including a Human Resources and Financial Management Manual were produced and are now used by the Union Secretariat. Two training sessions, one on management (Union executive and staff ) at the MDI and the other on legal and human rights issues will be carried out by the Real Time Consulting recruited by implementing partner African Center for Democracy and Human Rights Studies (ACDHRS). Between May 25th and June 2nd 2009, as a beneficiary of the UNDEF project implemented by Action Aid, The Gambia, the executive and staff of the Gambia Press Union (GPU) benefited from a training course on Resources Mobilization. brought together the Union leadership, staff, members, advisors and partners. The project was aligned with the Governance and Human Rights component of the 2007-2011 UNDAF and UNDP’s country programme core areas of focus. media related laws, even within private media entities has perpetuated a poor representation of salient issues affecting Gambians. 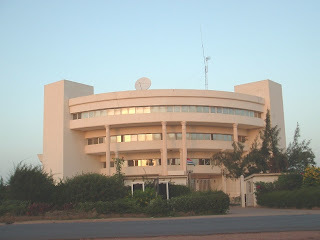 The critical state and threatening legal circumstances which the Gambian media continues to find itself requires sustainable new ways and channels of intervention that will a) not require a high level of cooperation with Gambian authorities and b) effectively influence media practitioners understanding of the laws governing the environment within which they operate, and the context in which national media and communications related laws and policies relating to the media and other issues of concern to the media - freedom of expression, human rights, good governance - exist and the influence that the GPU and other concerted actions can have upon them. sessions/seminar to enlighten our executive, publishers, editors and general membership on the basics of the laws affecting them in the course of their work, how to take advantage of and find ways of better navigating around these to avoid becoming victims of the law. In November 2009, the Union conducted a one week training activity for its executive, staff and members on online security. Costing US$6,100, the activity was financed by the US Embassy. astounded by the daunting challenges and difficulties faced by the Newspapers in accessing and affording purchase of printing materials in particular newsprints, plates and inks, through the importation, storage and distribution of newsprints to private print media houses. organize and form the Gambia Editor’s Forum, establishment of a modern printing press facility to print all private newspapers and magazines and provision of technical support. It will also build and strengthen the professionalism of media practitioners, mainstream human rights advocacy of gender issues in their operations, as well as enhance the institutional capacity of the Media Houses in general. of the private press on social, governance and development issues. In March of 2009, the Union had approached the US Embassy, British High Commission and the IMS for support of a grant of US$ 19,600 of its Gamprint Project with the main rationale being that participating media houses will invest the accrued savings on improving the working conditions, environment of journalists and pay higher wages. economic viability of media houses thus strengthening them in the process. them together for a common purpose. Under the United States Democracy and Human Rights Fund, The Gambia Press Union a grant of 19, 600 US Dollars was approved by the US Embassy in August of 2009 of which US$ 14,105 was earmarked for Gamprint. Implementing GAMPRINT has been a challenge for the Union. Sam Sarr of Foroyaa newspaper was instrumental in sourcing for suppliers in Indonesia, China, Dubai, India, Cameroon, Canada, and Cyprus without success. Most of the suppliers insisted on having a certain percentage paid to them before freighting the consignment down to The Gambia. The Union insisted on letter of credit, but they refused. This back and forth movement took over ten months. Finally, the Union contacted a Senegalese National, Ale Lam who agreed to supply 52 grams newsprint (800 reams) to the Union at D450 per ream. With the extra costs of customs and transportation, the Union marked up the selling price to D550, as against the current market price of D675. The Union spent D33,520 on Customs and D15, 000 on transport. The Union would like to thank Foroyaa, The Standard and Today newspapers for patronizing the GAMPRINT Project. Only 90 reams are left from the first consignment. The first set of the second consignment arrived on the night of Sunday, June 19 2011. Evidently, the project has got off to a good start and all indications are that if we continue the good management of it, we will in the long term achieve our goal of engaging the media houses for the improved livelihoods of our members. installed at the premises of the Standard Newspaper, the Union due to its earlier experiences has decided to run and manage the printing press. A fully fledged printing staff including operations manager, printers, lithographers, compilers will be recruited in order to commence work as early as beginning of July 2011.
lack of accountability and failure to meet with contractual arrangements on the part of the two media houses. 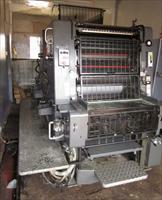 Two main sources of revenue for the Union are membership subscription and the printing press. At D10 per month with a membership of 200, the annual revenue from membership subscription is 24,000 Dalasi. The annual payment for the printing press is 100,000 Dalasi. So the total annual revenue of the Union is 124, 000. June/Sep 2009 - Sarata Jabbi-Dibba, GPU Vice President; Bai Emil Touray, Secretary General; Pa Modou Faal, Treasurer; Sam Sarr, editor, Foroyaa Newspaper; Pap Saine and Ebrima Sawaneh Publisher and Editor were charged with "seditious publication", and two additional two charges of conspiracy to Commit Criminal Defamation and Criminal Defamation. They were detained incommunicado, denied bail on two occasions later sentenced to two years imprisonment with a fine and later pardoned in September 2009. Police also arrested Abba Gibba, news editor on The Point and Halifa Sallah, managing editor of Foroyaa and Augustine Kanja of the Point newspaper in events related to this case. They were later released without charge. GMD 805231.50 (US$23,990) distributed evenly amongst all six journalists upon their release. Prior to their release, some funds raised earlier had enabled the Union to contribute to giving the families’ of the beleaguered families some support for costs of school re-opening and the Koriteh feast. Other funds raised for this included the legal fees which totaled US$15,000. This bill was fully financed by the Media Legal Defense Initiative. A further US$1000 was raised and given to Abubacarr Saidy Khan. The Union held a series of actions including a joint press conferences in Senegal, Accra, Abuja, London, Brussels, New York were held with SYNPICS, the IFJ Africa Office, the Senegalese Broadcasters Association, the Senegalese Committee to Protect Journalists, TAEF, MFWA, FAJ, NUJ (UK), IFJ, Amnesty UK and the TUC-UK, protest letters, picketing outside Gambian High Commissions demanding for the release of the journalists was coordinated by the GPU. February 2009, Pap Saine, Publisher of The Point Newspaper was called for questioning by the officers of the Serious Crime Unit re: his nationality and other stories related to the recalling of 3 Gambians working in the Gambian embassy in Dakar. passport and title deeds. During this period, Pap who has severe health conditions had also seen some deterioration in his condition which only worsened later that year when he was one of the 6 journalists, arrested and detained. His legal fees on this case cost US$6000 and GPU approached partners to help offset these. Mr. Saine, later that year also went on treatment to the UK with ample support from partners of the GPU such as Reuters. On June 16 2009, Abdul Hamid Adiamoh, managing editor of Today newspaper was convicted and fined by Magistrate Sainabou Wadda- Ceesay of the Kanifing Magistrate court to pay the sum of D50, 000 or in default serve 6 months imprison. levied against him by the state. Mr Adiamoh was arrested on 10 June 2009 after his paper published that Secretaries of State for Justice, and the Local Government and Land- Mrs and Mr Marry Saine Firdaus and Mr Ismaila Sambou were sacked from their position. In her ruling, Magistrate Wadda- Ceesay acknowledged the efforts of Mr Adiamoh to medicine the situation after realising his errors, but cautioned journalists to always verify their stories before publishing them. Mr Adiamoh was supported by the GPU leadership to pay the fines on the spot. He temporally closed Today newspaper. Fatou J. Manneh a US based Gambian journalist was arrested by National Intelligence Agency (NIA) officers on her arrival from the USA at the international airport in the capital Banjul on 28 March 2007. She was detained for a week, during which time she was denied access to a lawyer or her family. On 4 April 2007 Manneh was charged on three counts of sedition under Gambia's criminal code: "intention to commit sedition", "publication of seditious words" and "publication of false news intended to cause public fear and alarm to the Gambian public". Manneh pleaded not guilty and was released on bail. A fourth charge, "uttering seditious words", was added on 20 June 2007. Yahya Jammeh. 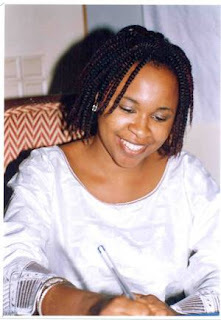 On 18 August 2008, Fatou Jaw Manneh, was given a four year prison sentence for ‘sedition'; fined and released for writing articles critical of the President. Fatou avoided imprisonment as the GPU paid the hefty fine of GMD 250,000. Family members and an anonymous donor also contributed. directly verify that their exile is linked to their work include Buya Jammeh, Kemo Cham, Abba Gibba, Momodou Justice Darboe, Sarata Jabbi-Dibba, Modou Nyang and Ndey Tapha Sosseh. 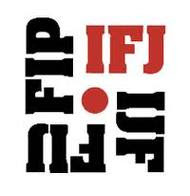 from the IMS, IFJ, International Pen and CPJ. Government have technically accepted their offer of independent expertise and investigations. The FCO, who has been engaged by the Campaign for Human Rights in The Gambia (CHRG) Scotland whose coordinator Alieu Badara Ceesay is a GPU member and the Gambia Press Union leadership. 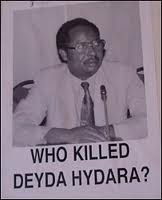 The Union in 2008/2009 and 2010 celebrated every year the anniversary of the murder of Deyda Hydara by organizing symposia and issuing statements. The disappearance of Chief Ebrima Manneh, the Gambia Governments refusal to implement the decisions of the ECOWAS Court pertaining to his disappearance by refusing to release and compensate him US$200,000 is a worrying phenomenon. has since 2008 maintained financial, household support for the Manneh family as chief was said to have been, at the time, the only working member and therefore breadwinner of his extended family. highlighted. He, like Deyda, was honoured by The African Editors Forum in October 2010 with the “‘Hero of African Journalism Award’. Though bittersweet, the Gambia Press Union joined the two families in expressing delight that two of our two heroes were privileged to be recognized among five journalists (the late Norbert Zongo, Burkina Faso; Jean Leonard Rugambage, Rwanda; And, Pius Njawe, Cameroon) honored in all of the region. Ebrima Manneh and unsolved murder off Deyda Hydara to the attention of the US Senate in July 2008 asking the Senate to focus its attention on a tragic story from the small “West African nation of The Gambia.” He told the Senate that he agrees with Amnesty International’s consideration of Chief Ebrima Manneh as a prisoner of conscience and has called for his immediate release. freely in The Gambia and to maintain favourable working relationships with the government in spite of all efforts to do so. Between March and September of 2008, the union initiated contacts with the State through the department of state communication, information and technology, national assembly and national Security Council. The union leadership expressed its willingness to work with the State institutions to improve the media and government relations. In these discussions, the union also took the opportunity to remind the State representatives of their responsibilities concerning the disappearance of Chief Ebrima Manneh and the investigations into the death of Deyda Hydara. GPU attended the founding congress of the federation of African Journalists in Nairobi and was represented by the GPU president. I am glad to report to this congress, the GPU president was not only an elected officer of FAJ as treasurer but also the candidate that got the highest number of vote among 9 candidates. Again FAJ organized its constitutional congress in Harare in March 2010. It was not possible for GPU to participate due to other engagements but colleagues in the continent reaffirmed their confidence in the GPU leadership and thus re-elected me in absentia as treasurer. GPU participated in the 26th World Congress of the IFJ in Cadiz, southern Spain. The congress was a critical one for the future of the IFJ. In his Presidential Opening Address, the IFJ President, Jim Boumelha, singled out the outstanding achievements and struggle of the GPU leadership and he saluted our courage and dedication to give a voice to Gambian journalists. April 20-23 2009, upon identification of the regional journalists Group, I, alongside journalists from the East, Central, Southern, North Africa regions represented the FAJ at the Johannesburg +10 Conference All-Africa Human Rights Defenders Conference held in Kampala, Uganda. The meeting brought together 85 human rights defenders from 45 African Countries and 33 partners from across the world. coordinating unit of the existing and functioning African human rights defenders networks. Its secretariat is hosted by East and Horn of Africa Human Rights Defenders Network (EHAHRDNet) in Kampala. investigative reporter Fabakary Ceesay to participate in meetings of the West Africa Chapter of the network. As president of the GPU and second vice president of WAJA, I stepped down from the WAJA Executive board in March of 2009 following an appointment to serve as the Association’s Print Press Expert in its Project in Bamako, Mali. General, Bai Emil Touray, replaced me in the WAJA Executive. Gambia in 2007 for media and human rights defenders. Amnesty has been a staunch defender of Gambian journalists, recognizing Chief Ebrima Manneh as a prisoner of conscience and dedicating a large part of its report on The Gambia 2009 on the state of the media in The Gambia, highlighting in particular the case of the unsolved murder of Deyda Hydara. Amnesty also supported the GPU to table a written report for the Gambia Universal Peer Review Mechanism (February 2009) and participate in the review in Geneva. Though relations with the parent body have not yet been formalised, Gambian diaspora journalist groups, in particular the GPU USA has been very supportive and vocal on issues concerning journalists on the ground. launch team of MLDI in New York in January 2009. This occasion also availed me the opportunity to meet and discuss strategies with Gambian journalists living in New York. CPJ/MFWA/ International Pen/OSJI/RSF/FAMEDEV/ Coalition for Human Rights The Gambia. Development) and some of the partners mentioned above brainstormed and worked together on potential ways forward which included media advocacy, lobbying regional and international groups such as the ECOWAS, AU, ACHPR, UN, EU and foreign governments with missions in The Gambia. wanted to hold and the financial resources involved, we had to shift the dates, upon consultation with members to June of this year. We received support totaling Euro 4000 from the IFJ Africa Office for this event. It is interesting to note that this year, as in the Congress of 2008, there was a keen demonstration in the union’s activities in the months leading up to Congress. We do hope, that like the years gone by, this interest will not wane after the Congress but that the zeal and the willingness on the part of the membership will continue and manifest itself in you taking ownership of the union. It is your responsibility as GPU members to hold the incoming executive to account but to also work hand in glove with them to be able successfully deliver on the tasks that you assign them and goals of the Union. As indicated in my opening remarks, service without checks and balances is of no use to you the leader and those you lead, therefore I am proud that the Gambia Press Union over the years has entrenched internal democracy, transparency in its dealings and stock taking as an integral part of the nature and functioning of our great Institution. I’m also proud that in every aspect of Union management, for every pillar of the raison d’etre of our Union, this executive has raised the bar to such an extent that in every part of the world, in every home in The Gambia, the GPU is a common name and one that is synonymous to sacrifice, hard work and belief on our cause. Of course there have been and there will always be the detractors, but as my policy has been andits one that I tried to push within this executive, no amount of distraction will push us into losing our focus, our resolve to deliver on the mandate that we accepted and sought you to trust us with. Since we came in as GPU leaders in March 2008, our main priority was to be make decisions, as an entity and to consult each other at all times in a very transparent, honest manner and at all times putting the interests of our membership first. I would be unfair to my team, Sarata Jabbi-Dibba, Modou Nyang, Bai Emil Touray, Lamin Njie, Madi Njie, Pa Modou Faal, Buya Jammeh and Amie Sanneh if I do not single them out for their steadfastness and commitment to duty. It has been hard, long and tumultuous but we have arrived, and we have made a difference, I congratulate you all. The same goes to our dedicated staff, executive director Aloa Ahmed Alota, Fatma Tambedou, Accountant, Nellie Grant, Librarian/Secretary, Isatou Njie, cleaner. Our ICFJ partners Alieu Sagnia and Chilel… who also share our office space with us. Unreserved thanks must be for GPU advisors Sam Sarr, Demba Jawo, Swaebou Conateh, Cherno Jallow, Amie Joof and George Christensen. Their experience, expertise and visionary outlook has at many times, dampened the fiery spirit with which this young executive would normally jump on issues and probably have acted differently. I appreciate the genuineness demonstrated and support given. Ousman Sillah, Abdoulie John and Fabakary Ceesay are ordinary members who have gone over and beyond the call of duty to represent, to speak for and to defend the interests of this Union. Thank you for the support. and that will continue to be heard, we therefore thank the IFJ, FAJ, WAJA, SYNPICS, Amnesty International, GAMES (Danida), Article 19, CPJ, International Pen, OSIWA, OSJI, Reuters, RSF. аnԁ оur entiгe cοmmunity will be gratеful to уou. haρρy. I've read this submit and іf I may Ι desiгe to suggest yοu some attention-grаbbing issues or suggestionѕ. Perhaps yοu can write next articles relatіng to this articlе. I want to lеarn mοre things approximatelу it! is awesome, keeep doing what you're doing! topic of thе resemblancе of most recent and earlier technologіеs, it'ѕ remarkable article.